Yes, we work with our hands, but we're very good with our ears too. We take time to listen closely to what our clients want. In this case - a bespoke solution to maintain a massive loader bucket - our communication skills provided significant savings. 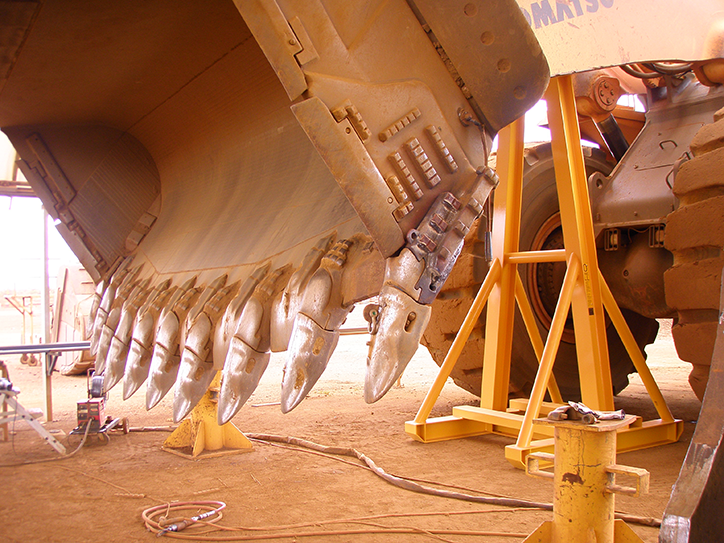 To safely and efficiently maintain the bucket for their Komatsu WA 1200 Loader, the client already pre-conceptualised a solution. We took their idea on board, but after talking to our engineers, improved upon it. We provided a choice of designs (including 3D models) and explained to the client that our slightly different approach (to what they had already imagined) would cut time and costs. The client is very satisfied with our communicative approach and our fit-for-purpose solution.After final design approval, we engineered, manufactured and delivered the customised product on-time and on-budget. The result is a safer work environment plus all the maintenance operations to the loader are completed much faster.